For the first time, introducing the TSET system! The system that links you to winning! 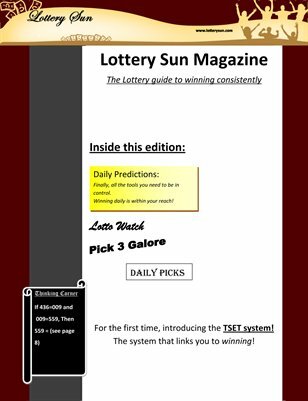 Plus Daily Predictions, Thinking Corner, Pick 3 Galore, Daily Picks, and the Lotto Watch!